Little Helpers in Life: Dora And Friends DVD Giveaway Hosted by Sassy Mom, 2 Spoiled Bratz! Dora And Friends DVD Giveaway Hosted by Sassy Mom, 2 Spoiled Bratz! 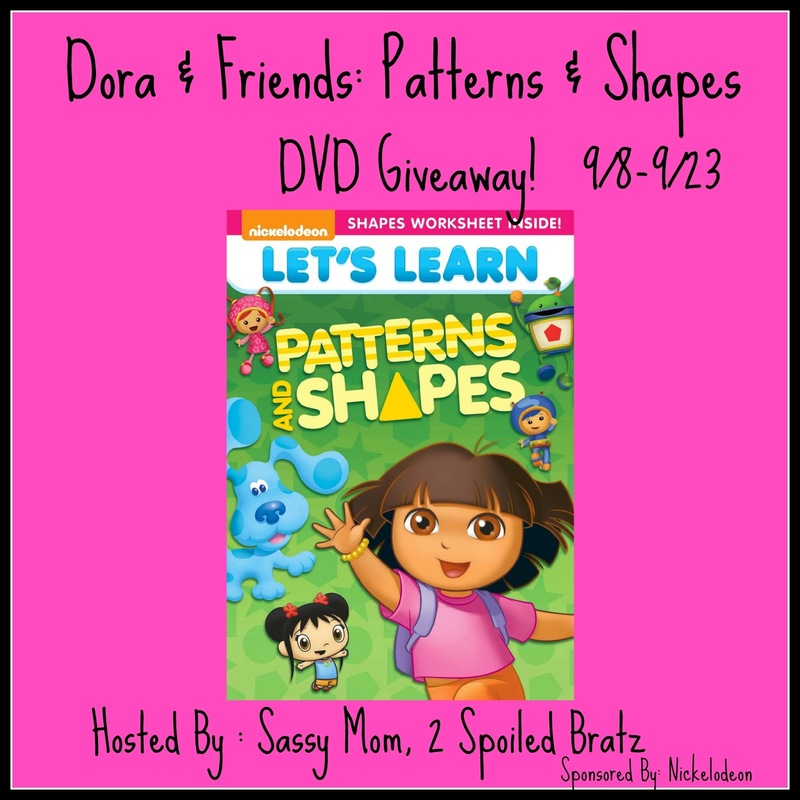 Sassy Mom, 2 Spoiled Bratz and Nickelodeon teamed up to bring you a giveaway for the following Dora & Friends: Patterns and Shapes! How cool is that! I love watching Dora with my son. I think that it is a great learning tool for Children to learn another language! I am so happy to be hosting this!